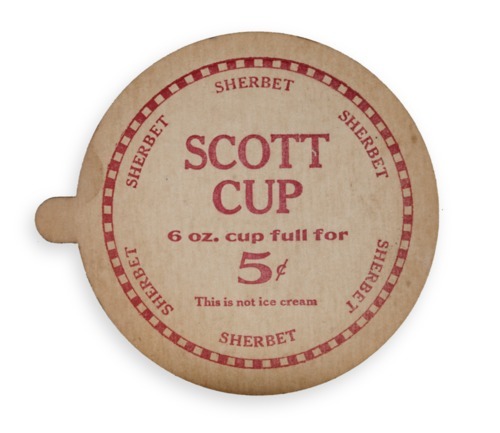 Cardboard lid for small cup of ice cream or sherbet, with pull tab at side. From by Scott Brothers Ice Cream Company of Topeka. The company was founded in 1879 by Harry C. Scott and claimed to be the oldest ice cream manufacturer in Kansas.